Below is a list of key regeneration/development areas in London to consider for residential property investing. This is based on five years of monitoring, research and analysis of the latest developments. Almost without exception, large new developments occur on lower priced land in an area normally surrounded by or on the fringe of higher price residential and commercial districts (e.g. Chelsea Harbour - West London; Stratford - East London, Kings Cross - North London; Paddington - West London ). On a macro-economic level, the PropertyInvesting.net team favour new developments in the south of England because long term demographic trends suggest greater demand for housing and restricted supply in the next 5 years. The shift from manufacturing – something more prevalent in the north and midlands - to service industries - something more prevalent in the south - supports this view. We also think the older people get, the more they will notice the weather – the weather is just a bit warmer, sunnier and often drier in the south. Since most baby-boomers will wish to retire in the UK, many will migrate to the south coast (South Wales, SW England, southern coastal counties, coastal East Anglia and coastal Kent areas). Prime retirement centres such Poole in Dorset and the South Hams will likely get even more popular. 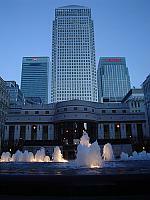 The sheer size of London, its vibrant service and financial sectors and the immigration of wealthy and professional individuals should support prices in SE England, as will the increasing population of London (forecast to increase by 1 million people by 2015). Southern market towns and villages should also do well with people retiring. 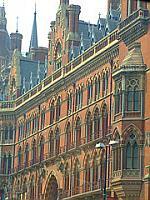 The arrival of the Eurostar in 2008 and massive new residential developments around the refurbished St Pancras and Kings Cross stations will undoubtedly lead to high capital value increases between now and say 2012. Kings Cross Central (Argent Group / St George development) will have 1800 new homes, cost £1.25 billion and has started after the station was completed in 2007. P&O Developments are responsible for Regent Quarter, 142 warehouse conversions. The area has a poor reputation for drugs and prostitutes though this has changed over the years and will likely become less of a problem when developments finish. The number one attraction of Kings Cross is access to the West End, City, Paris (two hours by train in 2007), with high-speed links to Luton , Stansted and Gatwick airports. We frankly think any low priced residential accommodation that can be purchased will do well in the future. Examples would be a 2-double bedroomed ex-council flat close by Kings Cross, a ground or first floor Victorian conversion flat on quiet roads, and 1st phase off-plan 1 or 2 double bedroom flats. The arrival of the Jubilee Line in 2000 and DLR before that has done much to re-vitalise Stratford . The smart money has started moving in and prices have already sky-rocketed. 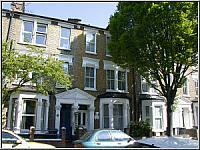 A 1 bedroom Victorian conversion would have cost £30,000 in 1995 – they now sell for £180,000. That said, there is probably still some good growth potential because in 2008, the new Eurostar station will open with travel time to Paris in under 2 hours, and Kings Cross in 8 minutes. Victorian 1 bedroom flats or 3 bedroom terraces in “Stratford village” about ½ mile SE of the station are a good bet if you can get hold of one (there is a waiting list). A brand new “ Stratford City ” will emerge next to the new Eurostar station, with up to £3.5 billion earmarked for this single huge residential and commercial development (2007 to 2020). Hackney Wick – a forgotten suburb to the west will be positively impacted by re-generation in readiness for a London Olympic bid for 2012. The chosen city will be announced in July 2005 – even if London does not win, the Lower Lea Valley area from Leytonstone down to Canning Town will be transformed from a once bleak industrial stretch of East London . Canning Town is also a good bet with excellent transport links to City Airport , Canary Warf, City of London , Stratford and to a lesser extent West London . Tenant demand in the area should be high with all the building work. In the 1980s, Hackney had about the highest crime rate in London – this is changing. 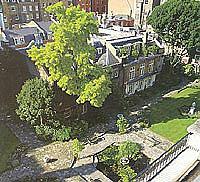 Its proximity to the City and Islington to the west has caught the eye of the canny investor. Prices have risen dramatically, but there is likely more to come. The opening of the East London Line extension, which got the go-head in 2006 will have a hugely positive impact on price. Most investors expect a 20% jump when the station opens, and further higher than trend increases in the subsequent few years after this. Prices are still attractive, though Hoxton to the south is already very expensive, being walking distance from the City and close to Whitechapel. The trick is to buy property close to the proposed new tube stations and keep your fingers crossed the extension finally gets built (say 85%+ chance) – this line will have direct links to the City and Canary Warf. In any case, prices will be supported by the new Kings Cross/St Pancras Eurostar opening in 2008 to the west, Stratford London Olympic 2012 bid to the east, and general regeneration of an area close to the City, Haringay and Islington. Our “gut” tells us buying a large house with bedsits (high rental income, not without risks though) and knocking them into one bedroom flats when the tube arrives could be the most profitable option. 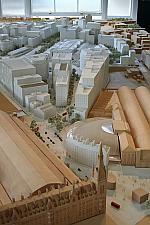 Also consider low cost but high quality off-plan developments very close to a future tube station. The ongoing Paddington Basin development and the late 1990s Paddington to Heathrow Express link have changed the fortunes of a rather average West London area. 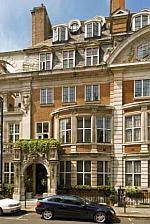 W2 is close to the heart of the West End – the outskirts of Mayfair are ½ mile away, as is Oxford Street . Communications are excellent and it will be close to St Pancras/Kings Cross to benefit from the new Eurostar link to Paris in 2008. The area is popular with corporate tenants. Bayswater has been coming up for years and its poor neighbour Paddington has recently shed its seedy image. 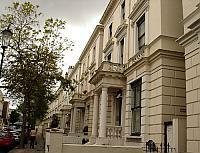 Proximity to trendy Marylebone has helped and Marble Arch and Hyde Park are just down the road. We would favour buying very low cost studio flats in mansion blocks (say for £160,000), renovating (low cost fix-up) and letting out at high rents to middle market corporate weekly workers – this captures the bottom end of an already very expensive market segment. We are not so sure about the luxury end of the market and off-plan flats after such heady prices rises in late 2005-2007 – they are probably still good bets, though this market is already high priced and could suffer if a global financial and economic momentum is not maintained, or less rich foreigners wish to settle in the UK for any reason (e.g. tax changes for foreigners). If you can find low cost properties close to Marble Arch, Hyde Park or Paddington station that look undervalued, you will get a piece of prime West End real estate that should do you well in the future.